Based on the method of Remez (see above) it seems to me that they said "We are from Charan," and Charan alludes to harsh judgments as our sages taught in the holy Zohar1 and as Rashi explains at the end of parshas Noach (11:32) "Charan has an upside down Nun since until Avraham there was Charon Af - anger and wrath in the world." Study it there. Lavan - white connotes chessed or loving kindness as is known (Tikkunei Zohar Intro 9b) and this is the meaning of "did you know Lavan the son of Nachor etc." from the harsh judgments chessed and loving kindness follows; as our sages taught (Brachos 60b) "All that the Merciful One does, is done for the good." "And they answered we know [him]." "And he asked them is it peaceful for him?" So to speak is there peace up above with no prosecutions when judgments are transformed in chessed and loving kindness. "And they answered him peace." "And behold Rachel his daughter is coming with the sheep." (See Bereshis Rabbah 70:10) Since Rachel is coming with the flocks of sheep which refers to the Jewish people who are called Tzon Kedoshim - holy sheep and therefore she is constantly nullifying the prosecuting agents and causing peace up above, as is written in the sefer Chasdei Hashem regarding a story that whenever there is a time of trouble and calamity Rachel comes and cries out to cancel and nullify all the troubles from Bnei Yisroel.2 Understand this. 1.. See Zohar I 147b and Bereshis Rabbah 68:13; 70:11. 2.. See the story in the citation below. See also Bereshis Rabbah 82:10; Zohar II 29b. (Yishaya 53:7) As a Rachel - a sheep is silent before her shearers, so too our Matriarch Rachel is shorn and in distress. As the verse says (Yirmiyahu 31:14) "A voice in Ramah, lamentation and bitter weeping; Rachel crying over her children refusing to be comforted." I must copy a great matter here which I saw written regarding an incident that happened close to our times. In the country of Ashkenaz (Germany) there were several congregations that were forlorn and despondent in their distress from being harassed and maltreated and jailed. Among them was a great man by the name of Rav Moshe Naiyas. They said that one time during the night they heard a bitter voice call out "Woe is to me, over my children!" They told of the incident to Rav Moshe Naiyas and he answered them: "Do not worry and do not fear, because shortly we will all be able to return to our homes in peace." And so it was. When he was questioned as to the crying they had heard he said that this was the voice of our matriarch Rachel, and that when Yisroel are distressed Rachel cries over her children and calls out before Hashem until He answers her saying "stop your voice from crying." [The Zohar explains that] the holy Torah contains great depth and hidden secrets. If we find stories in the Torah — tales such as those of our forefathers Avraham and Yitzchak, of Yaakov and Lavan, of the matriarchs, and of Bilam and his donkey — we must realize that in truth all of these tales contain hidden secrets and depth. On the surface, we can learn a lesson from the tale itself, such as how to develop good character traits. For example, from the story of Avraham we learn the trait of chesed, loving-kindness; from the story of Yaakov we learn about his righteousness. From the matriarchs we learn of their righteousness, and how the merit of Rachel still stands by us today, as our Rabbis taught (Eichah Rabbasi, Pesichtah 24; Tanna D'Vei Eliyahu Rabbah, ch. 30), "Regarding this it says, 'A voice in the heights is heard, lamentation and bitter weeping; Rachel is crying over her children, she refuses to be consoled' (Yirmeyahu 31:14)." The Midrash in Tanna D'vei Eliyahu says that when Hashem sent Bnei Yisroel into exile for their sins He was not going to return them until Rachel Imeinu stood in prayer and said "Master of the World just as I who am only flesh and blood was not angered and did not protest regarding my time of distress when my husband Yaakov who worked seven years for me was given my sister Leah as a bride and I did not speak with him at all so that he would not know the difference between my voice and hers so You who are a merciful King should not be angered by their worship of idols who are actually nothing real," immediately G-d's mercy was awakened and He swore to Rachel that He would return her children back from the exile. Regarding this it says 'A voice in the heights is heard, lamentation and bitter weeping; Rachel is crying over her children, she refuses to be consoled' . In the Eicha Midrash it says simply "In the merit of that weeping I shall return you from exile, regarding this it says 'A voice in the heights is heard, lamentation and bitter weeping; Rachel is crying over her children, she refuses to be consoled' ." Rav Weinberger's drasha start around the 1 hour mark and runs for about 40 minutes. The rest of the file contains the Hilula's singing and music. Yaakov Avinu's (our forefather) desire to be removed from Egypt and be burried in Eretz Yisrael. The neshamah (soul) of a tzaddik (righteous person) can be drawn to whereever people, who need and him and daven (pray) hor his help, are. He is drawn like a magnet to to Jews who learn his Torah and who remember him. Why was the soul of the Ba'al Shem Tov sent into this world? To awaken those who are asleep, even though they appear to be fully "functioning" and observant Jews. Different types and levels of sleep. Barely alive, with a last, almost indiscernible pulse, we can still wake up. Dry, routine Yiddishkeit which contains no love for, awe of, or attachment to Hashem. Our task: reach out and touch the neshamos of tzaddikim. Mishna 2:1 "What is the proper path that man should choose for himself?" The story occurred on Shabbos Bereshis in the Beis Midrash of Rav Yisroel of Tchortokov. Among the many guests was the then Rav of Sanok, Rav Meir Shapira who was later famous as the Rosh Yeshiva of Chachmei Lublin and the founder of the Daf HaYomi movement. On Shabbos morning after the Krias HaTorah the door to the Rebbe's private room opened and the Rebbe himself made an unusual appearance where before the astounded chassidim he honored the Rav of Sanok, Rav Meir Shapirah to bless the new month and to lead the prayers for Mussaf. This was an unusual occasion to say the least, however Rav Meir took the amud, and led the congregation. His powerful sweet and melodious voice awoke a strong outpouring of the soul and a holy excitement among the chassidim and many later recounted that the aura of sanctity resembled Yom Kippur. The sweet niggun and songs plucked the strings of their souls and they were all moved by Rav Meir Shapira's heartfelt prayers. Afterwards as the chassidim passed before the Rebbe to receive his Git Shabbos blessing, Rav Meir too passed before him. "I did not know that the Rav of Sanok knew so well how to lead the prayers?!" exclaimed the Rebbe. "I too did not know this," said Rav Meir innocently, "until the Rebbe revealed this to me as well!" The Rebbe invited Rav Meir to kiddush and after the meal they secreted themselves in the Rebbe's private room for a long drawn out conversation. When Rav Meir left the Rebbe's room his face shone with a supernal other worldly aura. During that conversation, Rav Meir's powerful gift of prayer was mentioned once again on which he commented, "If I have such a gift perhaps I should become a Chazzan, it would be appropriate since I am a descendant of Rav Pinchas Koretzer before whom all the gates of prayer where open!" Upon hearing these words the Tchortkover grew suddenly serious and after a few moments he said, "Rabbi of Sanok allow me to tell you a tale about the holy Rebbe Reb Zisha of Anniploi, the borther of the illustrious Rebbe Reb Elimelech of Lizhensk. Once when Rav Zisha was wandering in self imposed exile from land to land he arrived in Galicia. He had heard of Rav Yuzpa the famous Rosh Yeshivah of Zolkava and decided to travel there since his wondrous shiur, discourses in Talmudic topics were quite legendary. Rav Zisha travelled there and when he reached Zolkova he entered Rav Yuzpa's Yeshivah and Talmudic academy. At that time, Rav Yuzpa was in the midst of a Talmudic pilpul, a deep discussion of the tractate's sugya and all his students were absorbed in his profound words so that no one noticed Rav Zisha's appearance in the Yeshivah at all. Rav Zisha was dressed as a wandering vagabond, in tattered rags with his walking stick and bundle in hand. He went and sat in the corner and listened as well to the Tamudic discourse Rav Yuzpa delivered without removing his eyes from the orator for even a moment. After the lecture had ended, Rav Zisha approached the Rosh Yeshiva and said to him, "Thank you so much you deserve such a Yasher Koach for the lecture you delivered! I have heard of your great erudition and scholarliness from afar and about your wonderful lectures and therefore I decided to travel and hear them for myself first hand. Believe me it was well worth the long and arduous journey!" Rav Yuzpah heard the words of praise and answered, "Well I am glad that you enjoyed the lecture and that you heard words of Torah wisdom which you enjoyed, so I understand why I find favor in your eyes. However how can you find favor in my eyes? Why I do not yet have the pleasure of knowing you, who are you and where are you from?" asked Rav Yuzpa of his guest. "O' How can a vagabond such as myself find any favor in anyone's eyes? I do not even know how to learn or study Torah. Why I know nothing at all!" 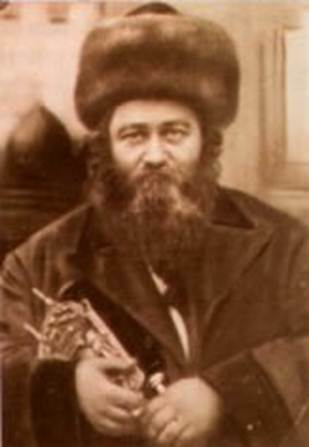 declared Rav Zisha. "Impossible," countered Rav Yuzpah, "It cannot be that you have no wisdom or sanctity. I sense that deep inside you there is some hidden treasure which causes you to find favor in my eyes." concluded the Rosh Yeshivah. "I only know how to pray," concluded Rav Zisha. "Well, what Jew doesn't know how to do that? Every Jew knows how to pray," exclaimed Rav Yuzpah with wonder. "But I know the proper way to pray before the Master of the World!," added Rav Zisha. "If so, reveal it to me, teach me the secrets of your prayer," asked Rav Yuzpah. "Very well then, come let us go somewhere private and I will open the gates of prayer before you," suggested Rav Zisha. "And so," concluded the Tchortkover Rebbe to Rav Meir Shapira, "the two entered a room and secluded themselves. Rav Zisha taught the Rosh Yeshivah the secrets of prayer and they pierced deep into Rav Yuzpah's soul. He grew aflame with excitement and declared, "I will leave my Yeshivah and go after this man! Just as Elishah followed Eliyahu and then perhaps during that time I will learn at least how to pray just one proper prayer in my lifetime! I will learn to stand before the Master of the World in prayer and to concentrate with true purity. Yes I will get up right now and leave my Yeshivah!" "No, no Rav Yuzpah," countered Rav Zisha. "Let me explain something to you, our sages taught us that just as man's facial features are different from one another so too are their minds different. There are millions and billions of people living in this world, and each one has a different face from the other. And just as their outer appearance differs so does their inner essence, their souls and their purpose in life. And even though each soul can reach its own personal beauty equally. Why did Hashem create so many people, because each of them has his unique personal purpose to fulfill a lofty and supernal goal. Just as there are many people, there are many goals and aspirations for each individual. Each person has to fulfill his own aspirations and goals with the tools, talents and character traits that Hashem has given him. This is why our sages taught that one should always study from where his heart desires. Sincde man's heart aspires to his personal goal which Hashem expects of him to fulfill. You Rav Yuzpa have the talent and power to inspire students and teach them Torah. Heaven gifted you with this ability to deliver such beautiful Talmudic lectures and discourses. Leave the gates of prayer for someone like me," concluded Rav Zisha. The Tchortkover ended the tale and turned to Rav Meir Shapira, who understood the meaning of the Rebbe's words. Later in life when Rav Meir was the head and Rosh Yeshiva of Chachmei Lublin he told those close to him about that Shabbos in Tchortkov saying, "With that story the Rebbe put me in my proper place and set me on the proper path in life to fulfill my unique mission and purpose, to teach and spread Torah through chinuch of the next generation of Am Yisroel – the Jewish nation." Rabbi Yehudah Meir ben Yaakov Shimshon Shapiro, The Founder of Daf Yomi, Famed Tzaddik and Rosh Yeshiva Of Chachmei Lublin. Zecher Tzadik V'Kadosh Livracha Zechuso Yagen Aleinu. Amen!!! Rav Yehuda Meir Shapiro of Lublin (1887-1933). His father, Rav Yaakov Shimshon Katz of Shatz, Romania, was a descendent of Rav Pinchas Koretz, a disciple of the Baal Shem Tov. His mother, Margala, was the daughter of Rav Shmuel Yitzchak Schor, author of Minchas Shai, and a descendent of the author of Tevu'as Shor. He was also a descendent of Rav Bechor Shor of Orleans, one of the Baalie Tosefos. He was married in 1906 and took his first appointment, Rav of Galina, in 1911. In 1921, he became Rav of Sanok, then in 1924 Rav of Piotrkov. It was while there that he wrote his sefer Or HaMeir. Also in 1923, he began the first cycle of Daf Yomi, having shared this idea at the first Knessiah Gedolah of Agudath Yisrael the previous year. That first cycle began on Rosh Hashana in 1923 and was completed 2702 days later on Tu Bishvat in 1931. His other major project was to found the yeshiva Chachmei Lublin, in 1930. 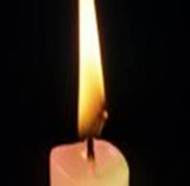 Reb Meir passed away on 7th of Cheshvan. A few hours before his petira, unable to speak, Reb Meir wrote a note with shaking hands to his wife. "Why are you crying?" he wrote. "Now we will have the real joy." Reb Meir asked his talmidim to dress him in a new white shirt and arrange his peyos. Signaling for a pencil, he wrote, "All of you, drink a lechaim." Beverages and cake were brought. Brachos were made and then each talmid, in turn, stood before Reb Meir and shook his hand. Reb Meir warmly held each talmid and looked deeply into his eyes. After each one had bid his rebbi farewell, Reb Meir formed the words, "Becha botchu avoseinu," "Our fathers trusted in You." The talmidim understood that Reb Meir wanted them to sing the melody he composed. As the talmidim sang, they began to dance as they had never danced before. Tears rolled down their cheeks-their hearts were breaking-but they continued to dance around their rebbi's bed. The talmidim realized that their rebbi would leave them a few moments. Reb Meir detected the students' muffled sobs, and motioned for them to come closer. "Nor mit simcha," "Only with joy," he whispered. These were Reb Meir's last words. , Rav Yehuda Meir Shapiro's soul then departed. He was 46 years old. All over Poland, newspapers put out special editions with detailed biographies of the Lubliner Rav. One newspaper described him as "the Jewish king." 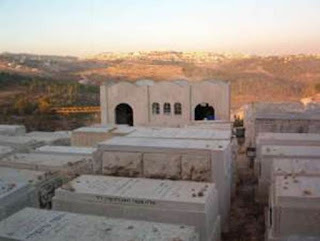 Reb Meir's ohel was the only grave left standing in the Lublin cemetery after the Holocaust. 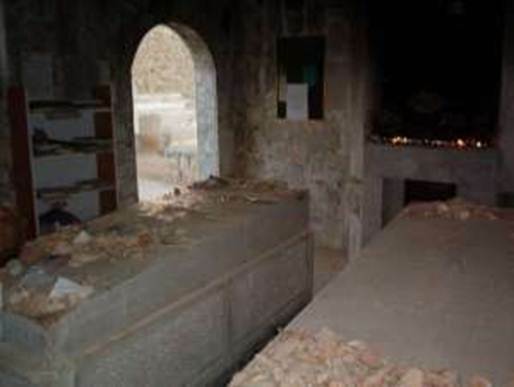 In 1958, they brought his remains to a final resting place in Yerushalayim. About The Founding Of The Daf Yomi And The Esteemed Rosh Yeshiva Of Chachmei Lublin. Zechusoi Yagen Aleinu!!! Amen!!! What a great thing! A Jew travels by boat and takes gemara Berachos under his arm. He travels for 15 days from Eretz Yisrael to America, and each day he learns the daf. When he arrives in America, he enters a beis medrash in New York and finds Jews learning the very same daf that he studied on that day, and he gladly joins them. Another Jew leaves the States and travels to Brazil or Japan, and he first goes to the beis medrash, where he finds everyone learning the same daf that he himself learned that day. Could there be greater unity of hearts than this? Originally RavShapiro saw Daf Yomi as an obligation only for the religious youth of Poland. However, the idea was greeted enthusiastically by the nearly 600 delegates at the Congress, including many Torah leaders from Europe and America, who accepted it a universal obligation for all Jews. The first cycle of Daf Yomi commenced on the first day of Rosh Hashanah 5684 (11 September 1923), with tens of thousands of Jews in Europe, America and Israel learning the first daf of the first tractate of the Talmud, Berachos. To show support for the idea, the Gerrer Rebbe, Rabbi Avraham Mordechai Alter, learned the first daf of Berachos in public on that day. On 12 November 1924 Tractate Berachos was completed, with small siyumim (celebrations marking the completion of study of a Talmudic tractate) in local communities. At that time, Shapiro published a calendar for the entire cycle of Daf Yomi study. (For the first cycle, there were only 2,702 pages of Talmud on the schedule; later Gedolei Yisrael increased it to 2,711, incorporating Tractate Shekalim, taken from the Jerusalem Talmud.) The siyum for the completion of Tractate Pesachim took place after the laying of the cornerstone for Yeshivas Chachmei Lublin. At that time, Rav Shapiro conceived the idea of contributing daily groschen to help raise money for the building. Each day, each person who studied Daf Yomi was asked to set aside a grosh (a Polish penny), and at the end of the tractate, to donate the sum to the yeshiva. The Gerrer Rebbe immediately contributed the entire sum of 2,700 groschen (27 złoty) to support this initiative. The Second World Congress of the World Agudas Israel, held in 1929, coincided with the completion of Tractate Zevachim. The 1st Siyum HaShas took place on 2 February 1931 (15 Shevat 5691) in several cities in Europe and in Jerusalem, with the main venue being the newly-opened Yeshivas Chachmei Lublin in Lublin, Poland. Tens of thousands of Jews attended these events. Rav Shapiro presided over the Siyum in his yeshiva in the presence of many leaders of Polish Jewry. In the United States, Siyums were held in Baltimore and Philadelphia, Pennsylvania. The completion of the Daf Yomi cycle is celebrated in an event known as the Siyum HaShas ("completion of the Shas"). [ In America, the main Siyum HaShas is organized by the Agudath Israel of America. Attendance at each Siyum HaShas has grown exponentially. In 1997 the 10th Siyum HaShas was celebrated by some 70,000 participants in the U.S.; at the 11th Siyum HaShas in 2005, participation had grown to 120,000 in the U.S. and 300,000 around the world. The 12th Siyum HaShas in America was be held on August 1, 2012 at the MetLife Stadium in East Rutherford, New Jersey, which had capacity for over 90,000 attendees. An event that has inspired the Entire Jewish Nation For Love Of Hashem and His Holy Torah. Zecher Tzadik V'Kadosh Livracha Zchusoi Yagein Aleinu V'al Kul Yisrael. Amen!!! 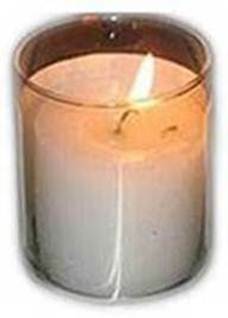 May the Light of the Holy Tzaddikim Grow And Grow Until The Dawn Of Day. Amen. "A Blaze in the Darkening Gloom"
The Yiddish manuscript upon which this book is based was written in 1934 by a student of Rav Shapiro's, Rav Yehoshua Baumol, who was killed in the Holocaust. The manuscript was translated into English by Charles Wengrow for publication by Feldheim publishers. The hour of night grew later and later. On a piece of paper he asked that he be shown all the prescriptions which the doctors had written. When they were handed him, he went through them and selected the one for a preparation to cleanse the throat and the respiratory organs and he asked that a new supply be gotten for him. Every few minutes he kept washing his hands while his mind was obviously immersed in distant thoughts. The evident struggle that he had to make to draw breath was heartbreaking. One could feel the frightul, racking agony that he had to undergo to try to get a bit of air into his lungs, and try as he would, he kept failing, because the channels were blocked. On a piece of paper, her scrawled a request to be carried into another chamber that he designated by its number ("Room number so-and-so"). Interestingly, that room had two doors, each with the name of an organization that had contributed money toward its construction. One door bore the name of the Bikur Cholim society (for care of the sick) of Chicago; the other, of the Chesed Shel Emes Society (for proper Jewish burial) of St. Louis. In a broken, barely legible scrawl he wrote, "Let everyone drink l'Chayim!" Some liquor was poured out into tiny glasses, and all who were there drank and wished him l'Chayim, "to life!" Then he shook hands with them all, one by one, holding each one's hand in his for a long time. And now he gave his instruction, "Make a Rikud (a little Chassidic dance) to the words, 'b'Cha Batchu Avoseinu' ("In You our fathers trusted, and You rescued them"; Tehilim 22:5). His wishes were obeyed: they joined hands, put hands on shoulders, and lifted their feet in rhythm as they sang the holy words to the melody they knew so well - the melody which he himself had composed. It was clear that the end was approaching. Into the great Shul (the Hall of Prayer) the young scholars came streaming now to say Tehilim, to implore Heaven's mercy for him../. [As he noticed some of the dancing students sobbing,] clearly and distinctly he pronounced two Yiddish words: "Nor b'Simcha" ("Only with joy! "); then he snapped his fingers -- and expired. He passed over and away and out of his body. And he was gone from us.